CALL US on +353 74 9121174 - We'll be happy to take your call. 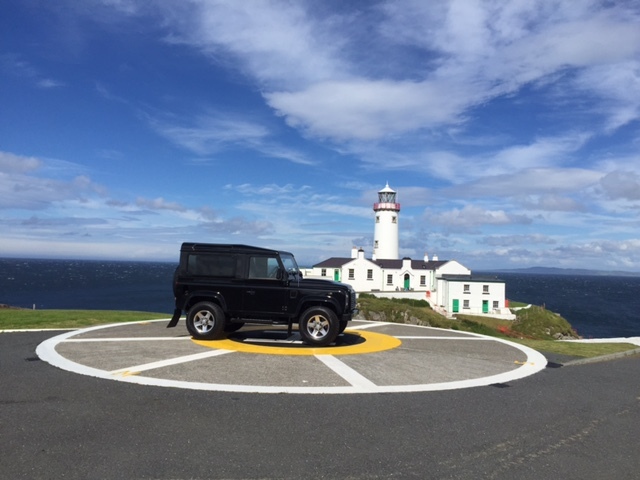 Addicted to off-road driving or an everyday adventurer? AutoFastFit & BF Goodrich has put all the expertise it has built up and shaped over years on the trails of the world's biggest cross country rallies into its ranges of 4x4 tyres. 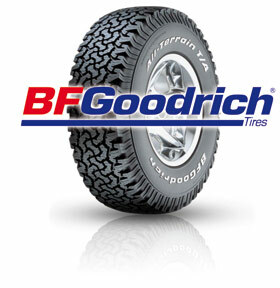 Passionate amateurs and experienced professionals trust BF Goodrich to overcome all obstacles. There's a BFGoodrich 4x4 tyre to suit every driver. To find out more about the tyre that meets your needs, view our 4x4 range or use our tyre selector . AutoFastFit & BF Goodrich recommends that you fit four identical tyres on 4x4 vehicles (same brand, same tread pattern, same load and speed ratings), and that you follow the car manufacturer's recommendations. 4x4 tyres can be split into usage categories according to the type of terrain they are designed for. To change the way a vehicle is used, achieve new performances or simply modify the general appearance of the vehicle, some 4x4 drivers may want to fit tyres of different sizes. The highway code applies in full to 4x4 vehicles and you must always adhere to strict rules when making size changes. The load index must be greater than or equal to the index of the original tyre and must be suited to the maximum load per vehicle axle. The speed rating must be greater than or equal to the rating of the original tyre for tyres not marked M+S. For tyres marked M+S, the speed rating can be lower, provided you display the label indicating the new speed rating inside the vehicle. The vehicle must be fitted with four identical tyres (same size, same brand, same tread pattern, same load and speed ratings, and same usage category) in order to avoid any mechanical problem in the transmission system and ensure optimal performance levels. Follow the car manufacturer's recommendations. Check that the new tyres do not come into contact with the mechanical components or body parts. In addition, the tyres must not stand proud of the 4x4 vehicle's wings. Check that the wheel is compatible with the tyre dimension. There are always regulations to adhere to when changing the dimensions of a vehicle. It is important to seek the advice of a professional before making any modification.